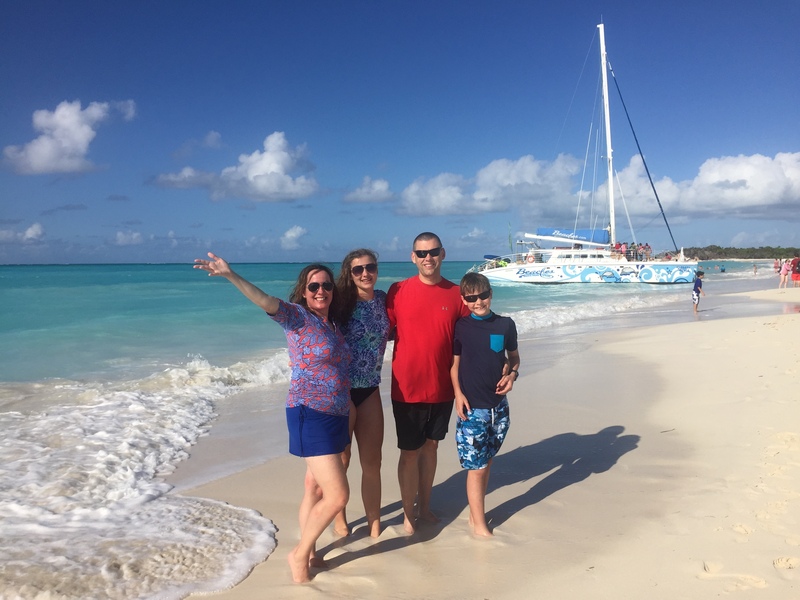 Beaches Turks & Caicos Resort Villages & Spa is a dream location with top of the line service and amenities at probably the most stunning island we’ve ever been to. I mean, the water makes a Crayola crayon pack jealous with all its blues and greens. Beaches Resorts truly offers something for EVERYONE, so if you can’t find something fun to do, it’s your own dang fault! The adventurer in me says we should go to different places and stay at diverse resorts. But then again, we did that for Spring Break by going to the Dominican Republic. Guess what happened? 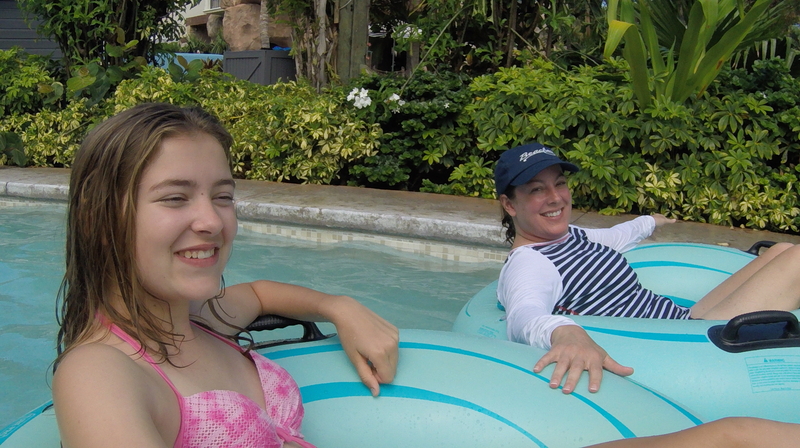 We found ourselves comparing everything to…our experience last year at Beaches! Not surprisingly, Beaches Turks & Caicos Resort Villages & Spa came out on top across the board. I’ll leave the more detailed post selling you on this property by linking you to my post last year. 1. 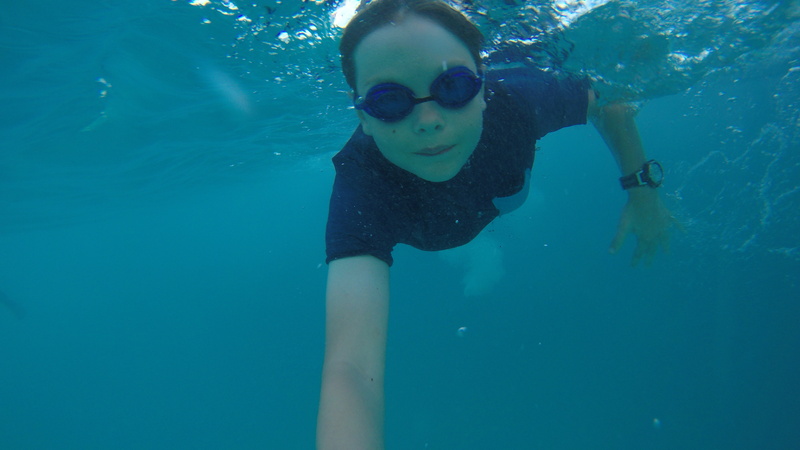 Bring (or Get) a GoPro with waterproof case! 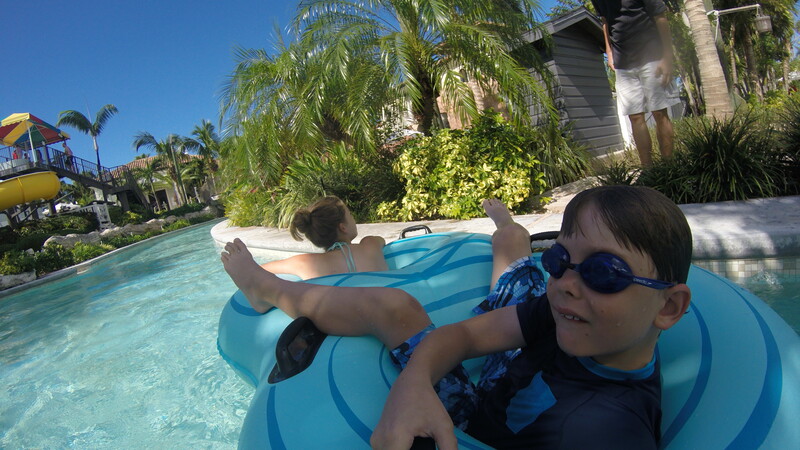 Having been toBeaches Turks & Caicos Resort Villages & Spa with and without a GoPro, I have to say: Get the GoPro!!! 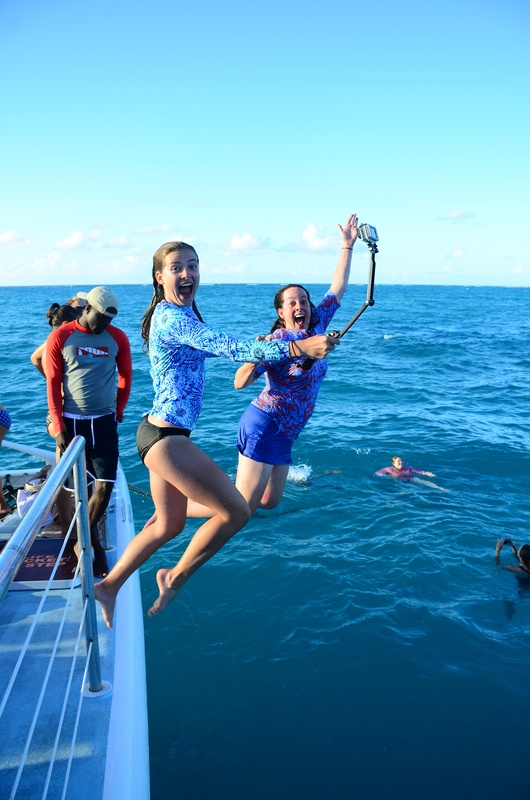 Besides the underwater photos, the camera also captures still images at set intervals while you are videoing. 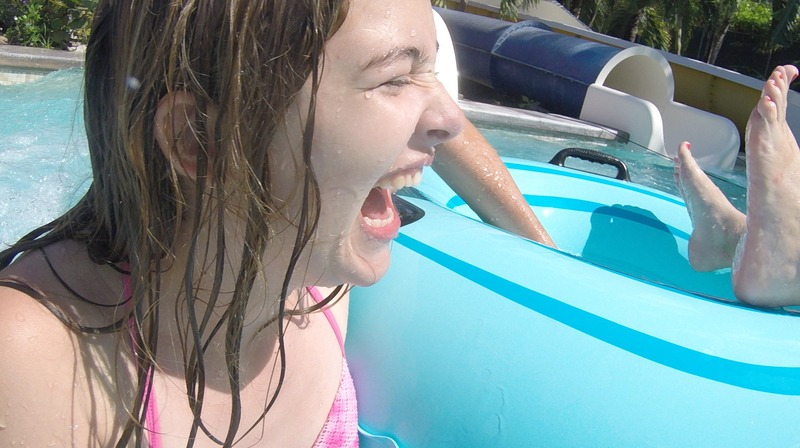 Some of the best candid shots are thanks to our GoPro. 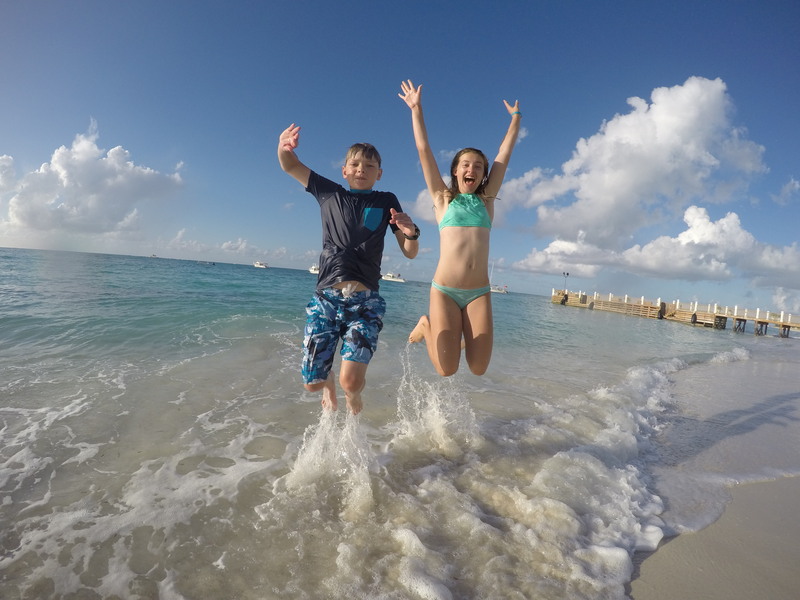 My kids were GoPro pros by the time we left and we bought ours just days before our trip! They even insisted on us naming our GoPro, which is now named Hugo. Scrolling through all our photos once we returned, I was amazed at the picture quality and diversity that this little gem of a camera can take. OK, so this isn’t so much a specific tip about the resort itself, but it will definitely heighten your enjoyment in all your activities and allow you to bring home some wicked good photos! 2. 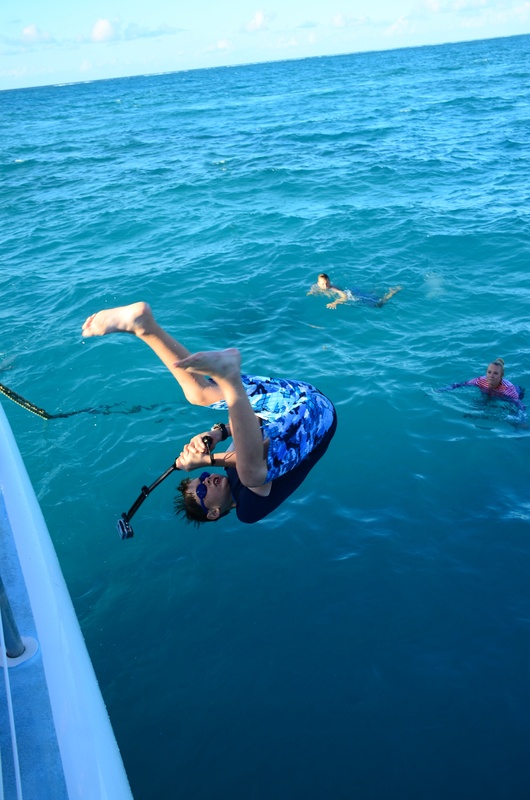 Must do: an Island Routes catamaran/snorkeling excursion. 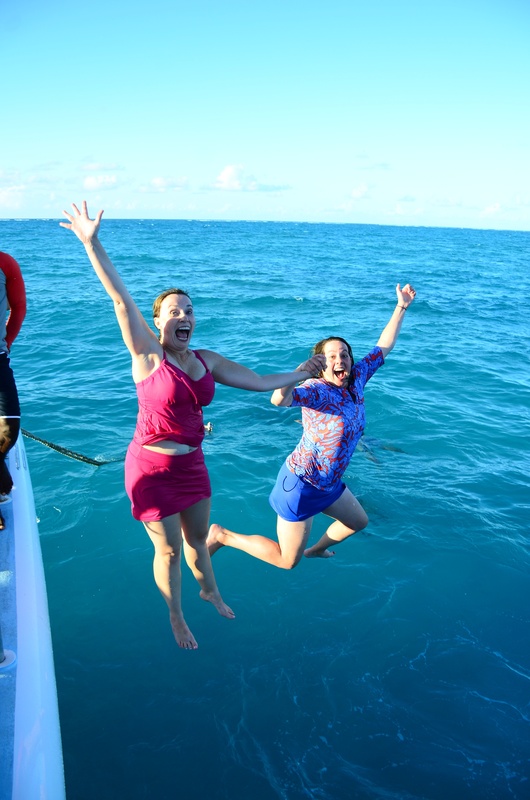 Island Routes provides Caribbean adventures to those thrill seekers and explorers who want to see what else is on the island. They know all the great local spots because the excusions are led by people born and bred on Turks and Caicos. 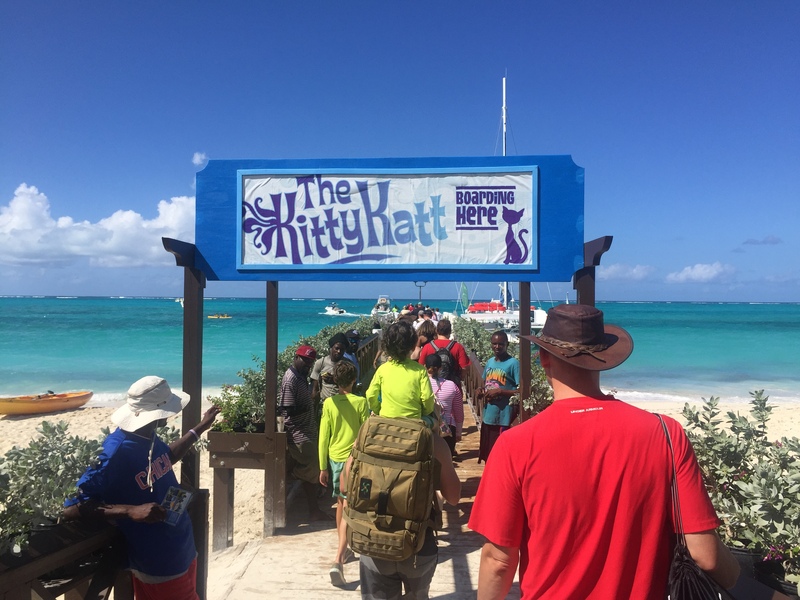 Priced at $ 115 per person, this is a wonderful opportunity to explore an island inhabited by iguanas, snorkel with sea life, and just unwind and relax. 3. 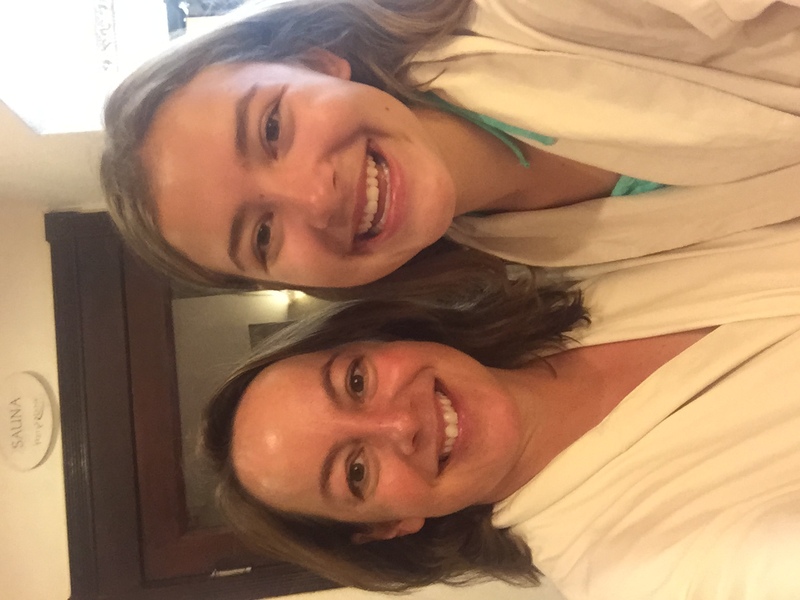 Spa is worth the splurge! 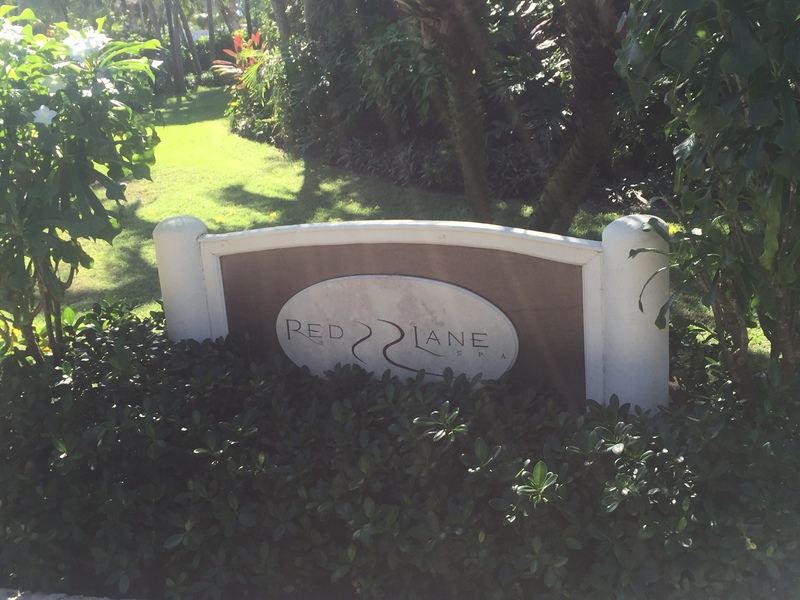 The Red Lane Spa is simply divine and worth the extra cost since this amenity is not included in the all-inclusive rate. Being a spa girl, I’m kinda partial to massages myself. And I’m raising my daughter right by taking her to get a treatment, too! We made it a total family affair because my hubby and I went for a couples massage. I opted for the hot stone massage ($ 158) and I must say, it was heavenly! My husband chose the deep relief massage ($ 158) and it was so godd, he fell asleep! Taylor had the In Good Spirits massage ($152) and it lived up to its billing! There are actually TWO spas on property: the one we enjoyed was in the French Village and the second is in the Key West Village. You can’t go wrong with either because we have experienced both. Here’s the lowdown on the two locations from last year. I even had a spa surprise at checkout: a spa credit which I still don’t know where it came from. Maybe I won a prize at my conference and didn’t know or I had someone smiling down on me. Whatever the reason, I’ll take it! All of us were totally blissed out and relaxed after our morning at the spa. 4. 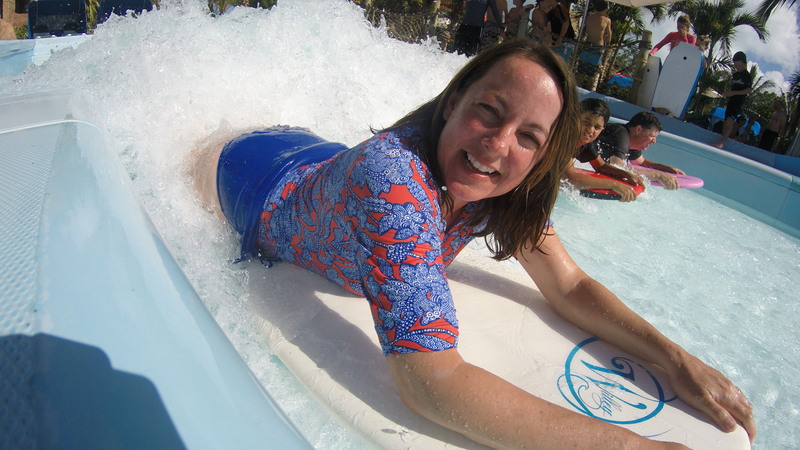 Try the surf simulator and have fun in the Pirates Island waterpark. 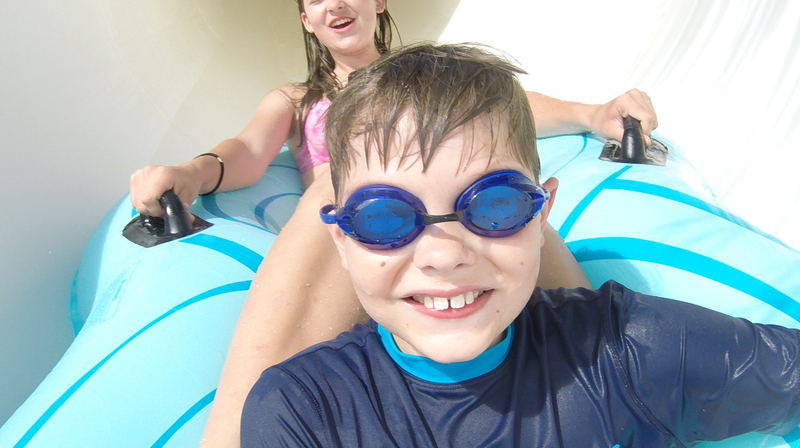 Pirates Island waterpark is for kids of all ages and grown-ups, too! My kids’ favorite is the 650-ft. lazy river. I’m partial to theSurfStream® surf simulator. 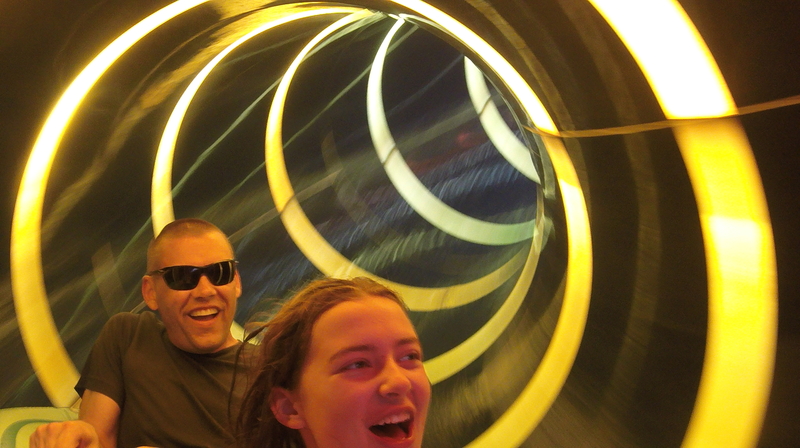 My husband loved trying the water slides in the double inner tubes. So as you can see, there is something for everyone! You could call it part of the Kids Zone because of its proximity to the Trench Town Teen Lounge, Xbox Play Lounge and Scratch DJ Academy. 5. Specialty drinks: always ask the bartender about his or her special concoction and be prepared for a special delivery! 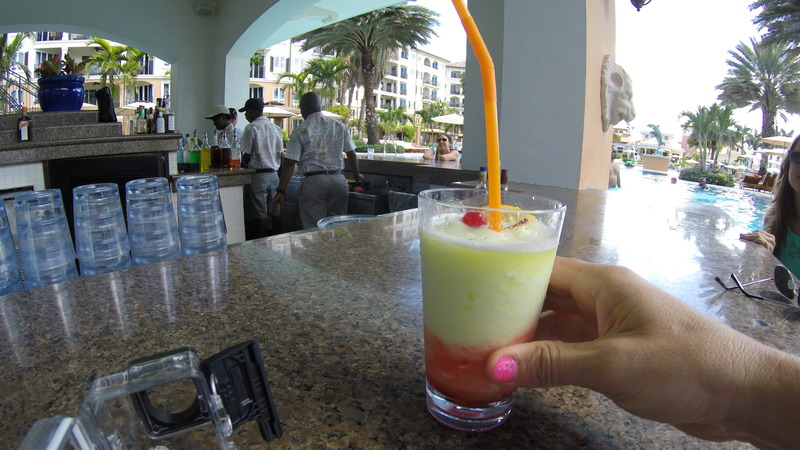 While you are in the islands, there’s no better place for a fruity umbrella drink (or your beverage of choice). But I would encourage you to think outside the box and try the specialty drinks. Most bartenders have a special drink they have concocted and are known for. I give high marks to Cliff at Schooner’s and Orland at the Italian Village bar for some of my all-time favorites. And of course, no visit to Beaches Turks & Caicos Resort Villages & Spa would be complete without a Bishop sighting. Yes, I’m talking about a person: an exceptional bartender whose phrase “Why not?” will have you giggling and adopting that as your new mantra. His Crazy Bishop is refreshing and as infectious as Bishop’s smile. For style points, our favorite bartender would have to be Junreal, who delivered my drink on his head (and spilled a bit on himself in the process!) 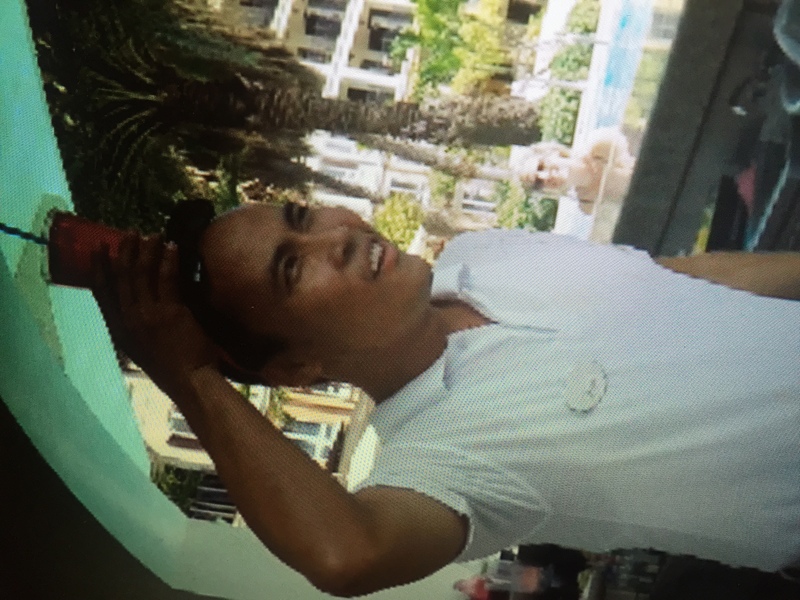 Despite that, he kept smiling and shared with us his story of how he came to work at this resort. We learned alot about him and developed a newfound respect for the staff who work so tirelessly to make your stay an unforgettable one. Junreal delivering our specialty drink! The fine print/legalese: As an attendee of the Social Media on the Sand conference hosted by Beaches Resorts, our stay was discounted as part of the conference. However, this in no way influences my candid opinions about Beaches Resorts. All the opinions, photos and experiences I’ve described are my own. Your tips were so very helpful in making our trip that much more awesome. Thank you so much!